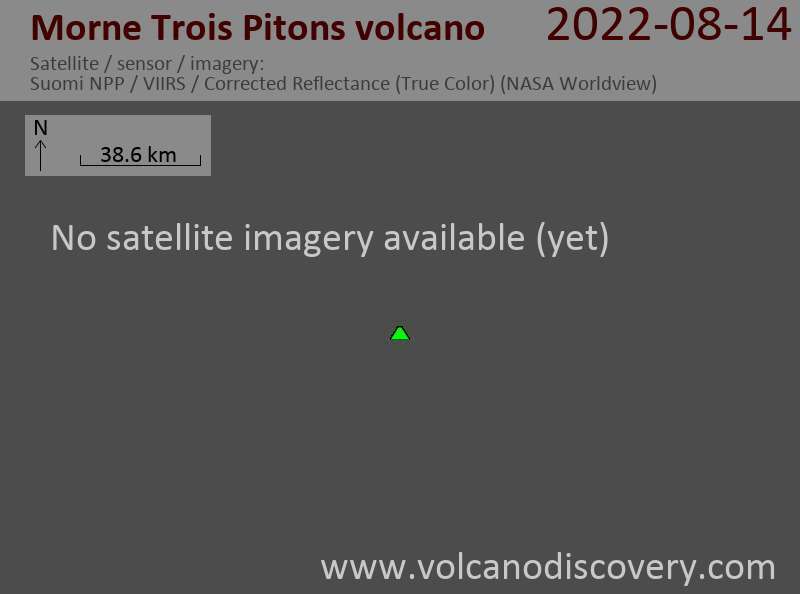 Two large lava-domes complexes, Morne Trois Pitons and Micotrin, rise NE of the capital city of Roseau in central Dominica. Micotrin (Morne Macaque) dome lies immediately south of the larger 1387-m-high Morne Trois Pitons; small lakes are located in the saddle between the two domes and on the eastern flank of Micotrin. The domes are located along the margin of a large semi-circular depression on the western coast of central Dominica, whose origin has been variously attributed to caldera collapse, gravity sliding, or the juxtaposition of several independent volcanic centers. The area is the source of the voluminous, mostly submarine Roseau Tuff, a thick sequence of pyroclastic flows erupted between about 40,000 and 25,000 years ago. 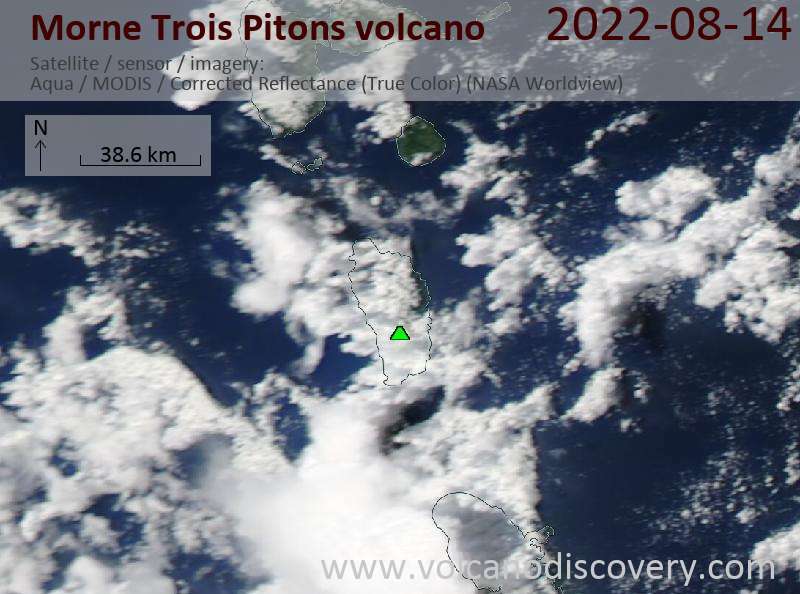 It is considered to have originated from calderas at Morne Trois Piton and Wotten Waven, the latter an elliptical NE-SW-trending caldera containing Microtin at its NE end. Explosive eruptions at the Trois Piton-Microtin complex producing pyroclastic flows continued into the late Pleistocene and Holocene. The youngest dated eruption took place about 800 AD, but other smaller eruptions may have occurred since.